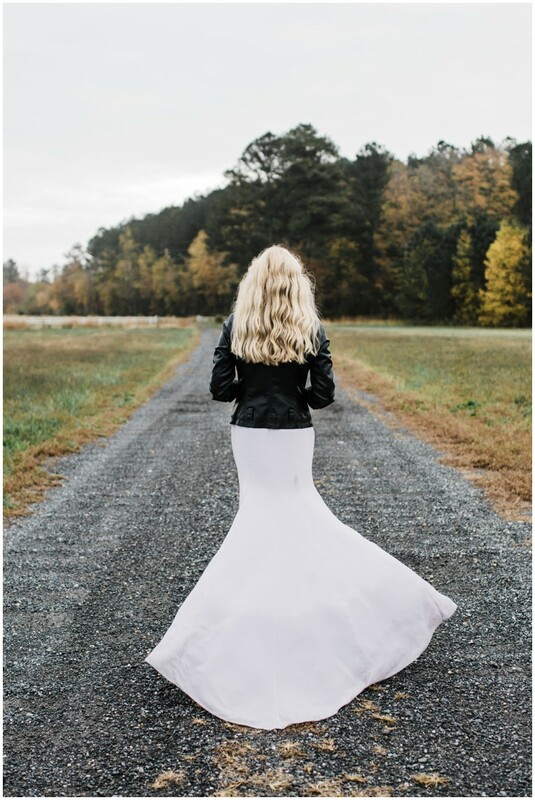 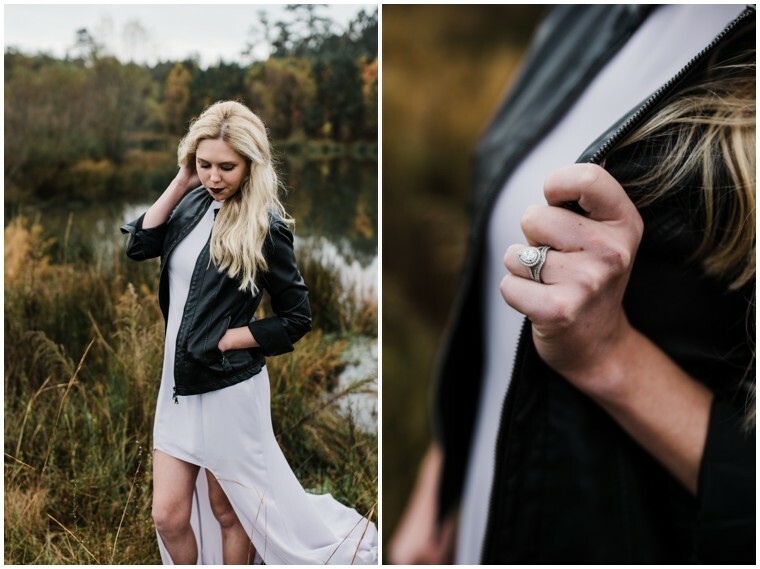 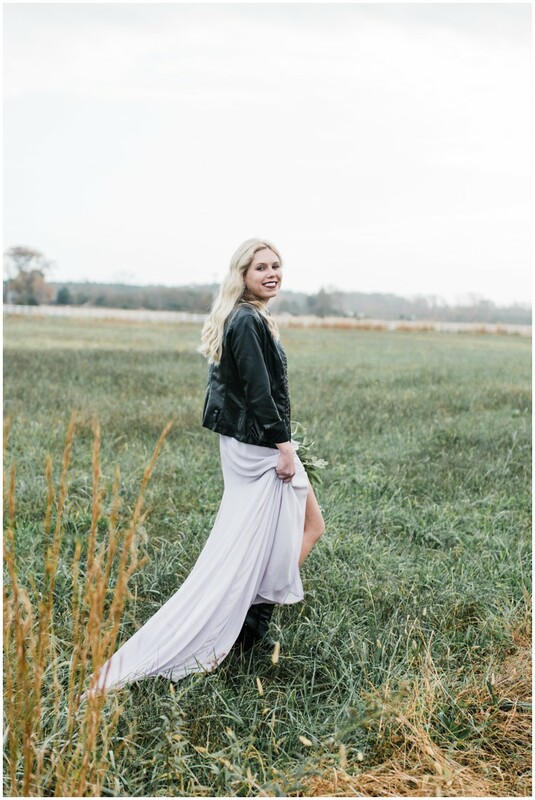 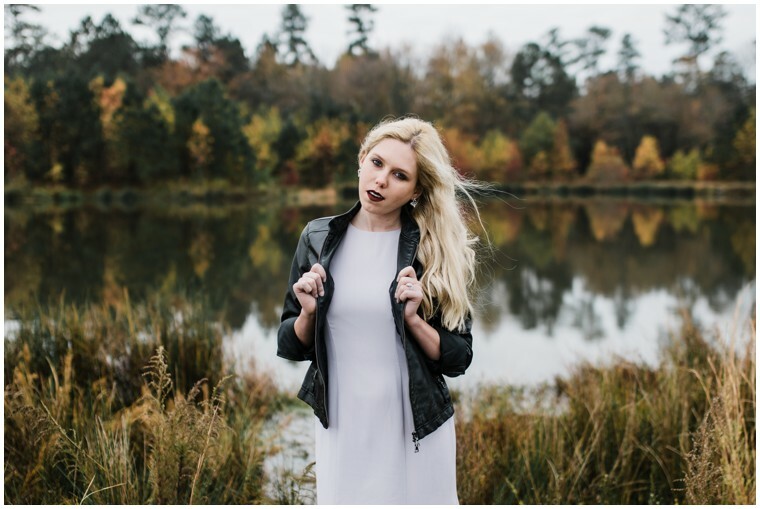 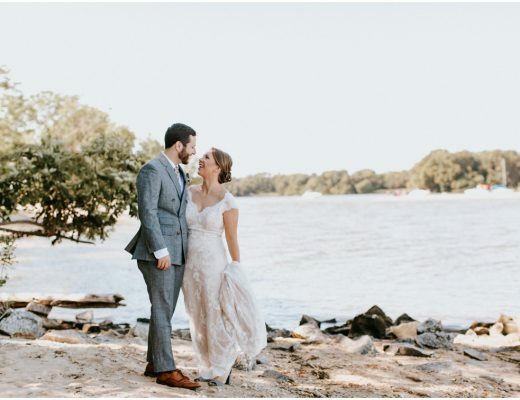 One part modern boho and one part bold biker is the winning combo we never knew we needed, until this gorgeous gallery dropped into our inbox! 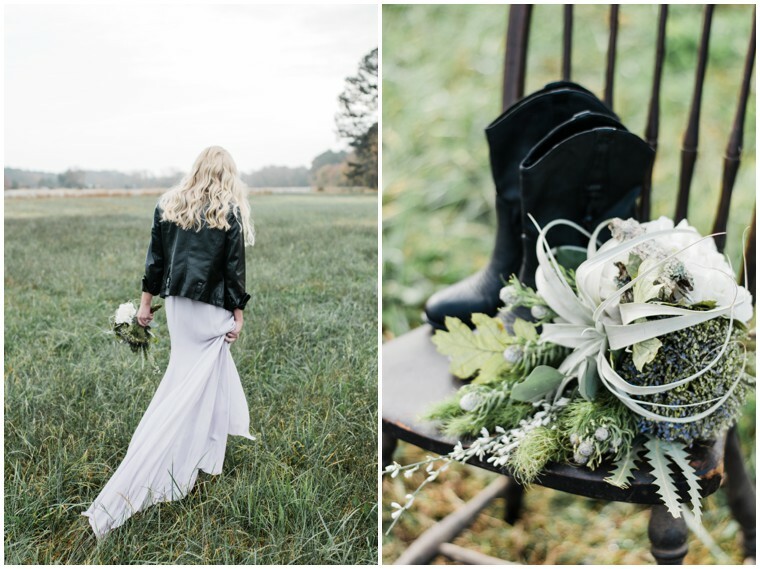 With Paige Elizabeth behind the lens and the styling (A Little Rusty Shop), she built this simple and understated shoot around Bleached Butterfly‘s textured earthy bouquet. 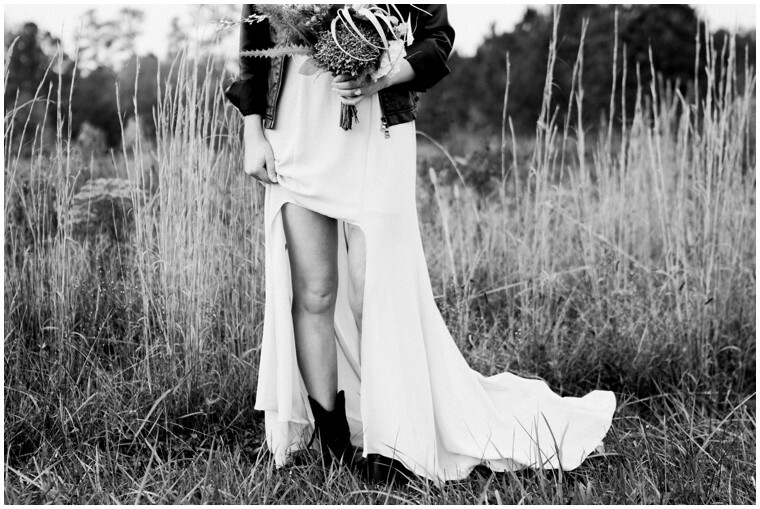 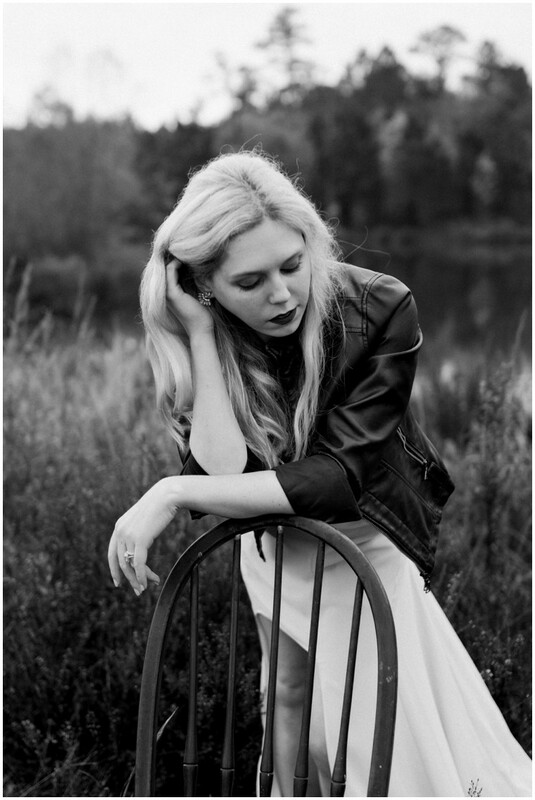 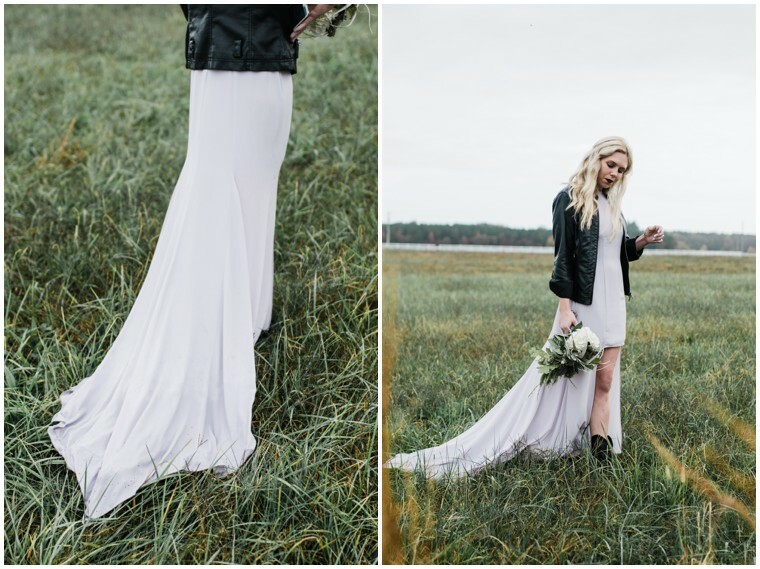 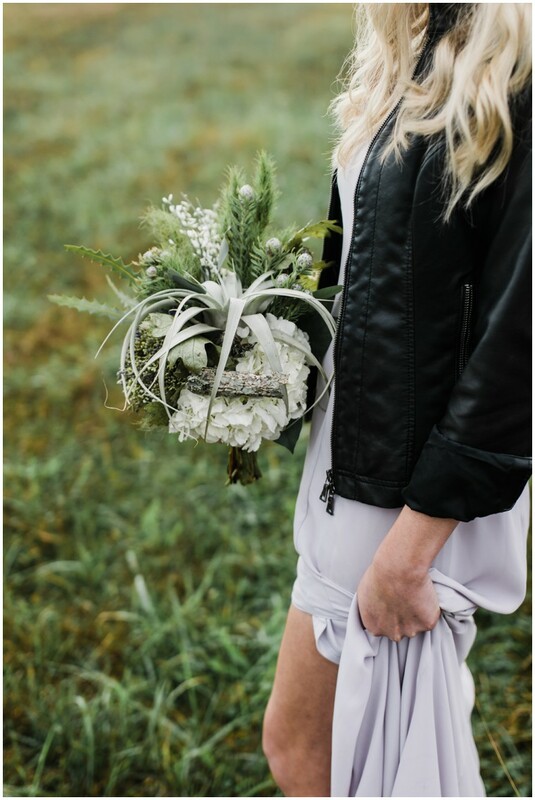 Plus we love the idea of layering up for a cold-weather wedding with leather! 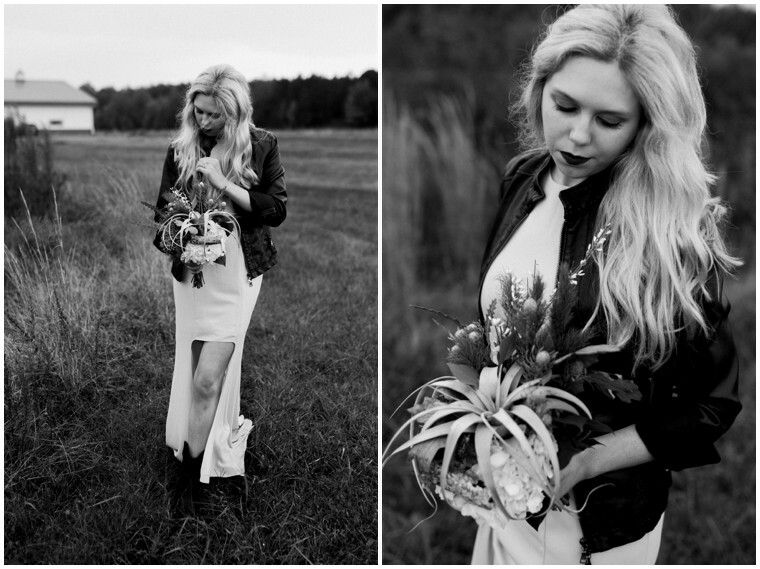 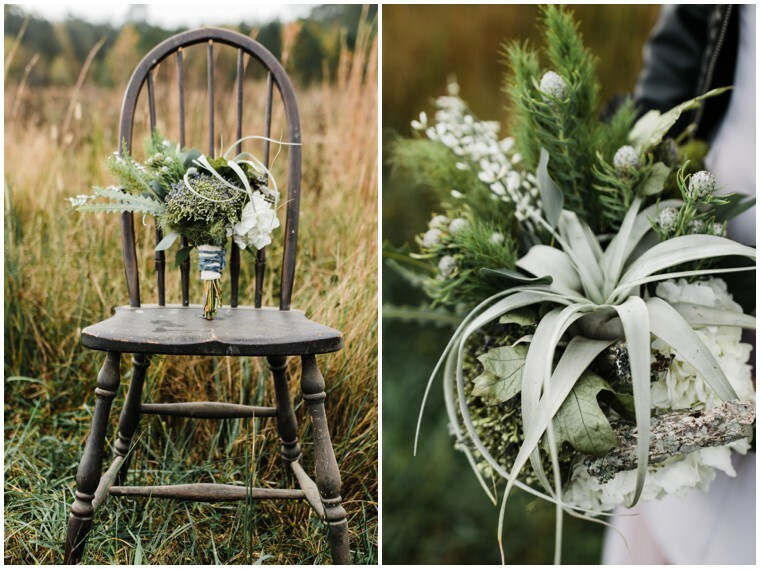 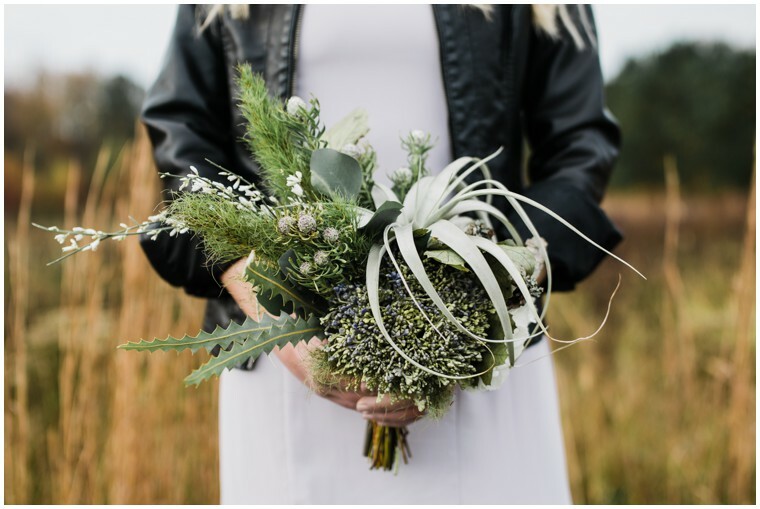 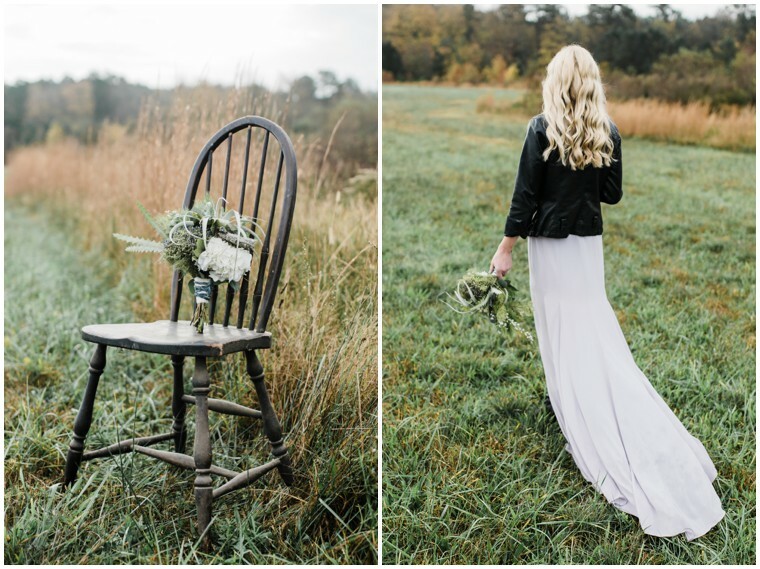 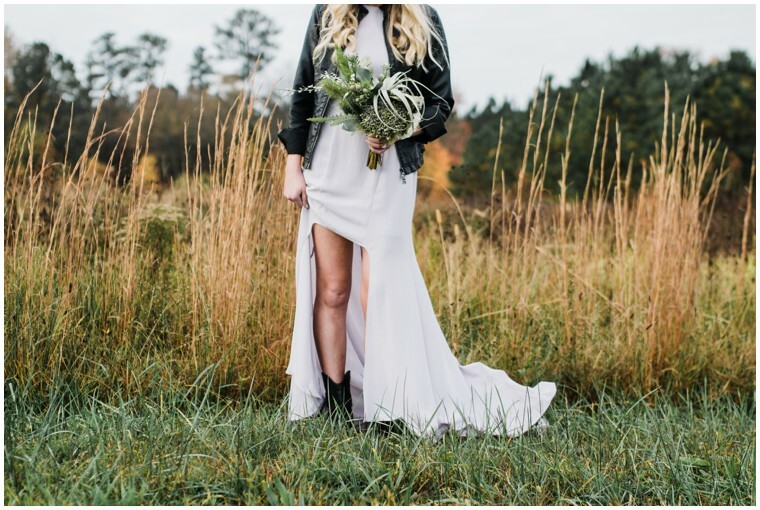 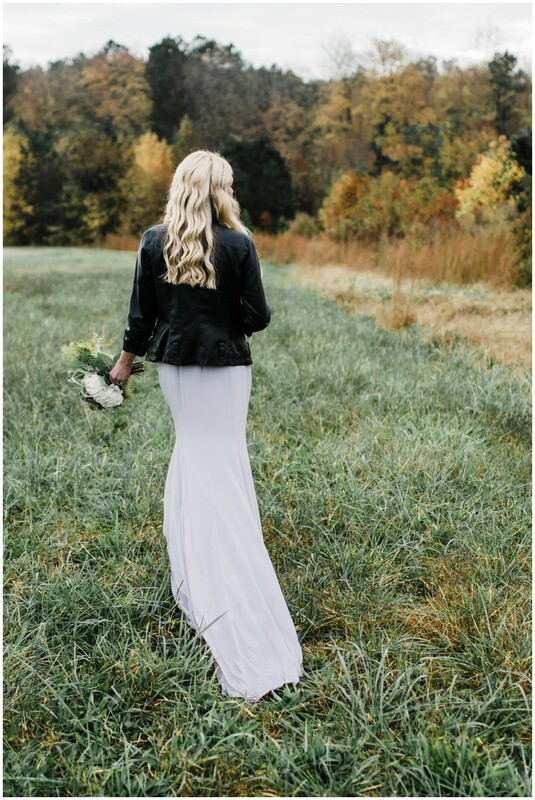 From Paige of Paige Elizabeth Photography: Inspired by this unique bouquet from Bleached Butterfly, the vision for this bridal shoot was an edgy + modern bride. 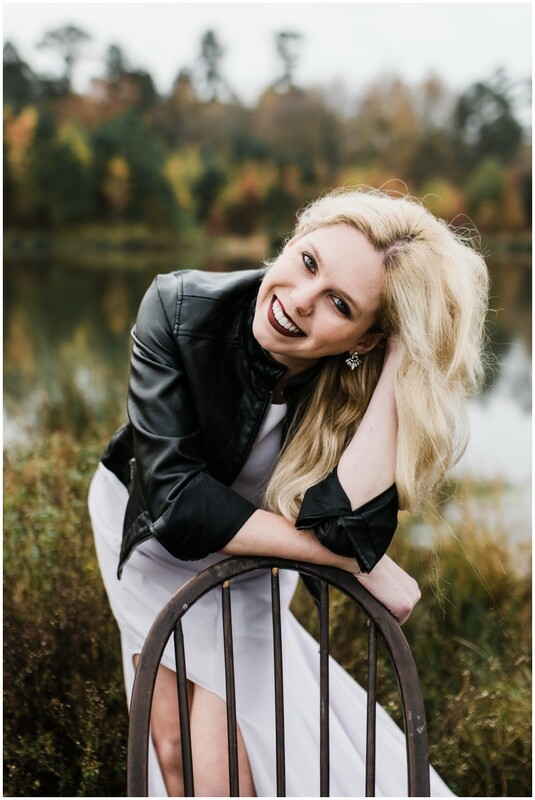 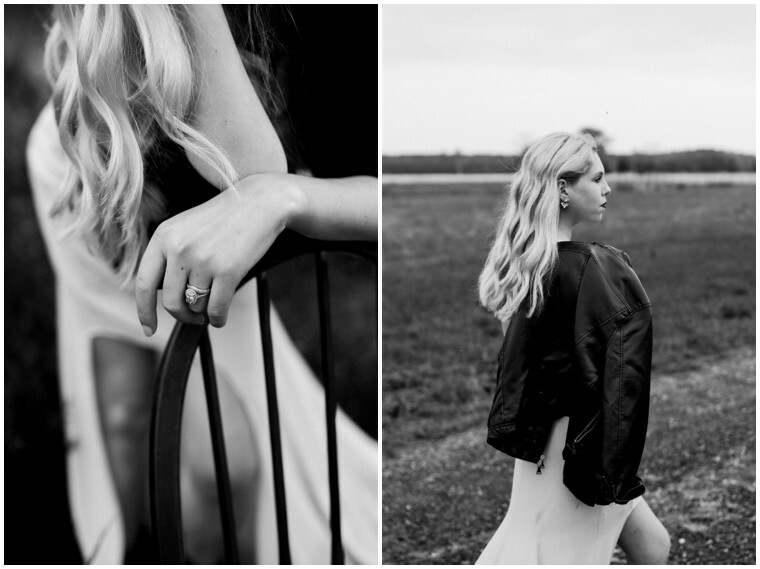 I wanted to highlight her individuality and confident spirit by limiting the extra details, and Chelsea absolutely delivered! 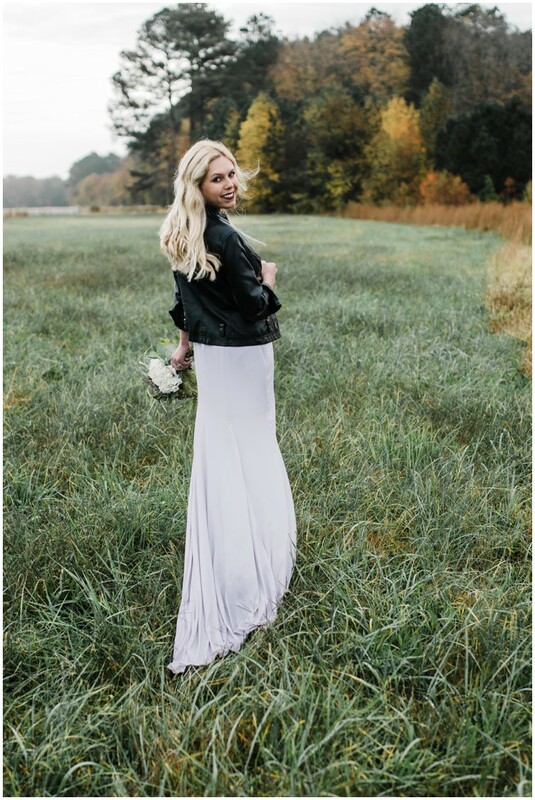 She perfectly embodies a bride who is confident in herself and knows how to celebrate that and have FUN! 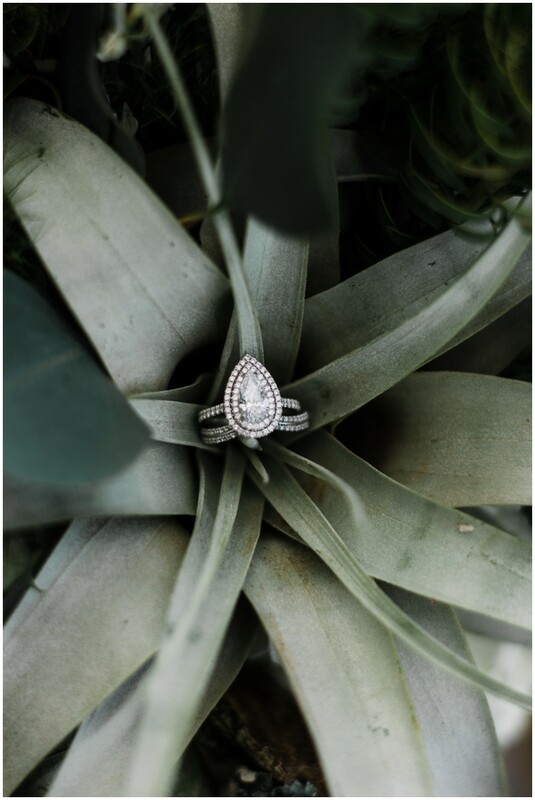 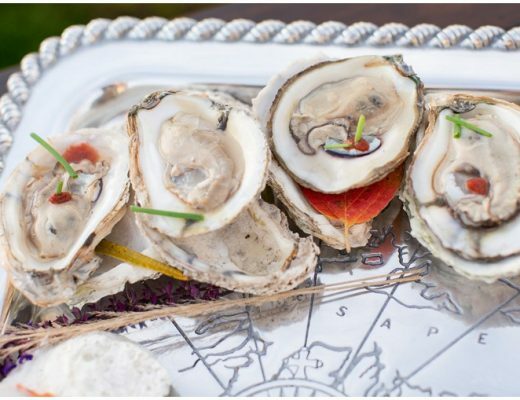 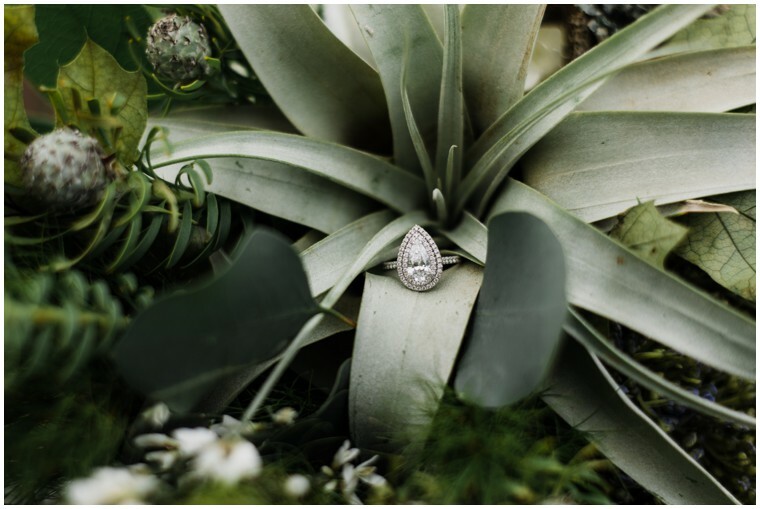 Which can serve as the perfect reminder to brides to take time to celebrate themselves, enjoy this journey, and OWN it. 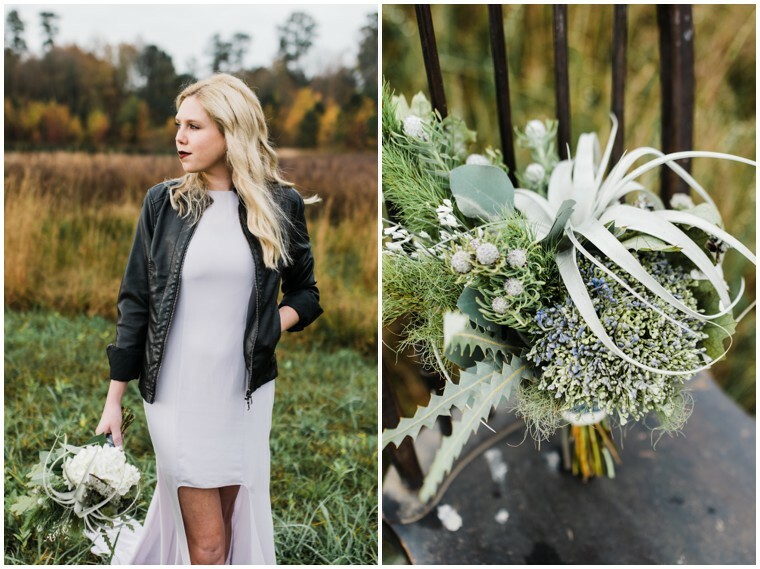 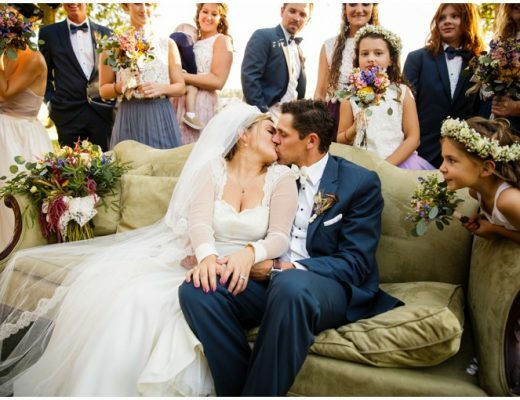 A Rustic Warehouse Wedding with Tons of DIY Details!